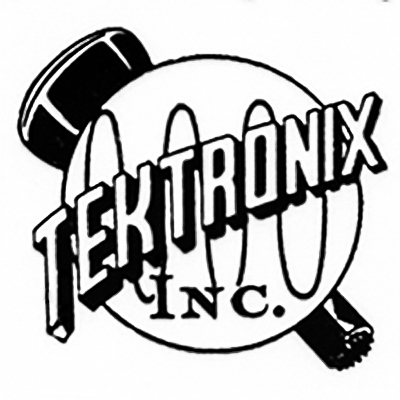 Tektronix used "Our Continuing Creed" in their earliest manuals and brochures. 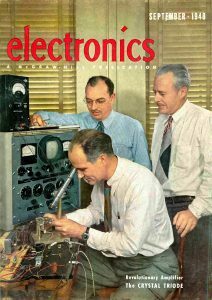 The Tek Bug appeared in the first 511 advertisement in the September 1948 issue of Electronics. 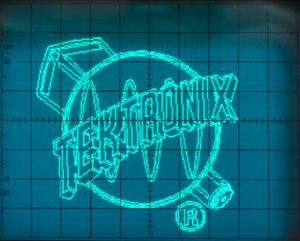 In the ad the Tek Bug featured "INC" below Tektronix. This would later be replaced by a registered trademark ® in the lower right. Gale Morris described one of his projects in the late 1950's was to provide a scalable Tek Bug image that could be scaled both small and large for a variety of uses. 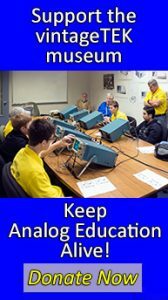 The museum created and sold out of 300 Demonstration Boards on our eBay store which displayed the bug on an oscilloscope. 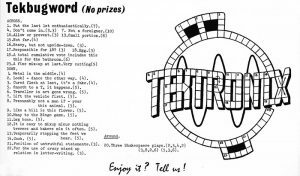 This August 4, 1963 TekTopics newsletter features a crossword puzzle in the shape of the Tek bug. 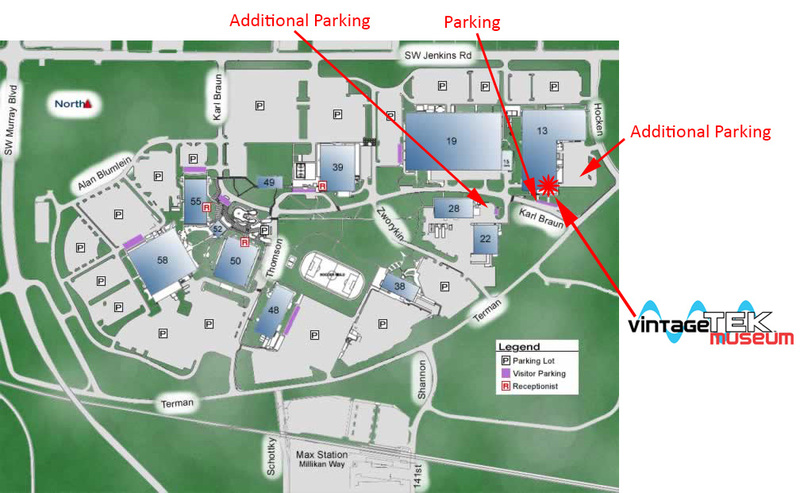 Click on the image to open up a full size PDF file. It's tough! 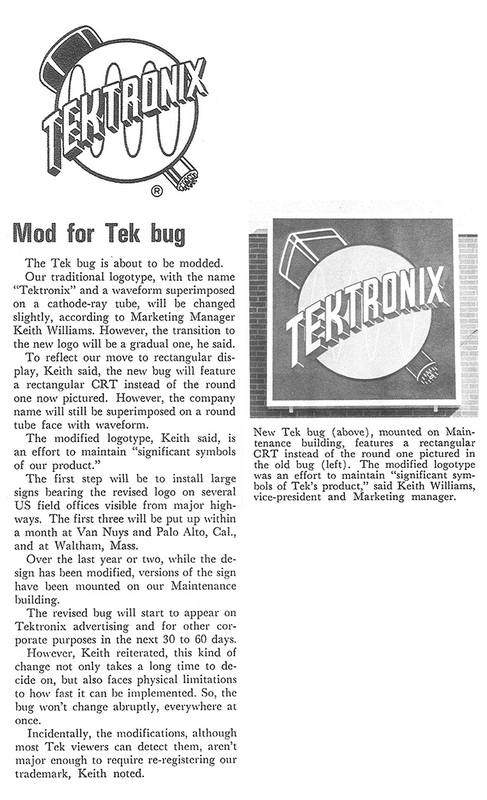 This April 7, 1967 TekWeek article describes the change to the Tek Bug logo to modernize it with a square CRT. 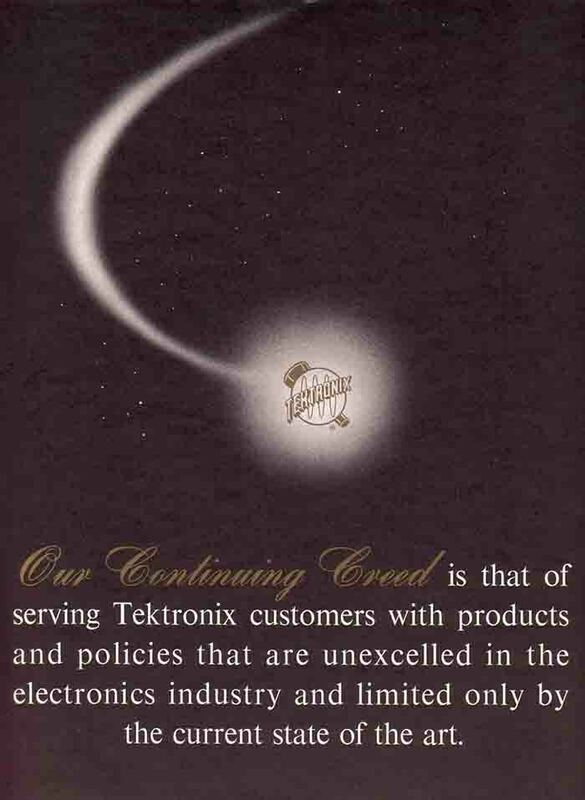 The "Committed to Technical Excellence" tagline replaced "Our Continuing Creed" and was used with the Tek Bug. Later the Technical was dropped to "Committed to Excellence" for broader application. Under Dave Friedly this was changed for a short period to "Your Visible Edge". 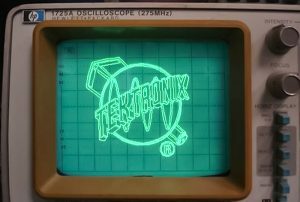 After this Tektronix moved away from using text, dropped the Tek Bug and went to the red slash logo which has been updated recently to a blue slash. Somewhere along the way for a short time a thought bubble was used but we have nothing showing this.